I left Brean in Somerset, and continued down to Northam in Devon. I then joined the A39 and disappeared over the North Cornish border. At 50 mph it is almost possible to miss Kilkhampton. However heading south on a left hand bend is the Church and the memorial. The main inscription is facing the road. It is quite a fine memorial and there are many names on it. According to Wikipedia, Kilkhampton has a population of only just over a thousand. The Wiki write up is quite informative and worth a visit. At the time the actual space around the memorial seemed to be used as a carpark. Lieut. Col. A.C. Thynne D.S.O. R.N.D.H. Quar. Mast. Sergt. J Box R. Berks. Quar. Mast. Sergt. A Cornish Devon Regt. LC Cpl. H.M. Phipps L.R.B. Pte. W. Jordan Som. L.I. Pte. J. Taylor Devon Regt. LDG. STR C. Burrows. R.N. A C/I J. Curtis D.C.L.I. Flt. Segt. A Trewin R.A.F. The information about Lieut Col Thynne has been drawn from various sites on the internet and although appearing sound it may contain errors. National archives does have a medal card. A copy will cost £2. Information from the Angloboer War website and also Neate Auctions who were commissioned to sell off some of the Thynne estate. 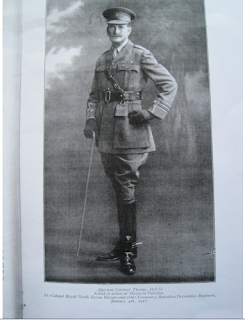 THYNNE, ALGERNON CARTERET, Captain, was born 9 April 1868, second son of Francis John Thynne, of Haynes Park, Bedfordshire, and of 67 Eaton Place, London, and grandson of the Reverend Lord John Thynne, DD. His mother was Edith Marcia Caroline, eldest daughter of Richard Brinsley Sheridan, of Frampton Court, Dorset. He was educated at Charterhouse, and subsequently became Captain in the Bedfordshire Regiment (3rd Battalion). 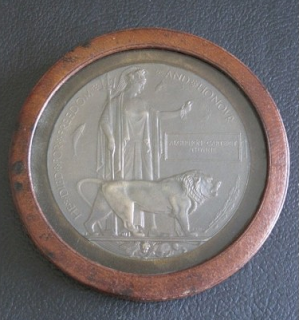 He went out from Bath, as a Lieutenant, in the North Somerset Yeomanry, to serve in South Africa, and served throughout the campaign, first in that capacity, and afterwards as a Captain in the 7th Battalion Imperial Yeomanry. He took part in operations in the Orange Free State, February to May 1902, including operations at Vet River (5 and 6 May) and Zand River; operations in the Transvaal, May and June 1900, including actions near Johannesburg, Pretoria and Diamond Hill (11 and 12 June); operations in the Transvaal 30 November 1900 to 31 May 1902. He was mentioned in Despatches [London Gazette, 10 September 1901, and 29 July 1902]; received the Queen's Medal with four clasps; the King's Medal with two clasps, and was created a Companion of the Distinguished Service Order [London Gazette, 31 October 1902]: "Algernon Carteret Thynne, Captain, 7th Battalion Imperial Yeomanry. In recognition of services during the operations in South Africa". He became Honorary Captain in the Army in August 1902, and was transferred in 1903 to the Royal North Devon Hussars. He served in the European War, 1914-17, in Gallipoli and Egypt, also in Palestine, as Lieutenant Colonel in command of his regiment, until he fell mortally wounded at the Battle of Sheria 6 November 1917. Colonel Thynne had succeeded to the Grenville Estate, Cornwall, on the death of his father in 1910. He was an Alderman of Cornwall County Council, and a Magistrate for Cornwall, and at the outbreak of war was Master of the Tetcott Hounds. A Memorial Service for him and those who fell with him in Palestine was held in St George's, Hanover Square, London (where Prebendary Thicknesse officiated); also in Stratton Church, Cornwall. He married, in 1904, Constance, daughter of Edward Bonham, of Bramling House, Kent, and widow of Francis Philips, of Lee Priory, Kent. The church of St James the Great has also got an interesting cross next to the lychgate which is also interesting as it also has the raised area in the middle to allow the coffin to be rested before entering the consecrated area. Reverend Arthur Christopher Thynne was born on 9 November 1832.1 He married Gwenllian Elizabeth Fanny Isabel Kendall, daughter of Russell Kendall, on 28 June 1859. He died on 2 January 1908 at age 75.1He was the son of Reverend Lord John Thynne and Anne Constantia Beresford.1 He held the office of Hon. Canon of Truro. He was the Rector at Kirkhampton, Cornwall, England. I do not have a family connection between these two Thynnes, investigation will reveal a close link I think. The base of the cross the inscription is just visible.